Two heirloom pieces worthy of any living room. 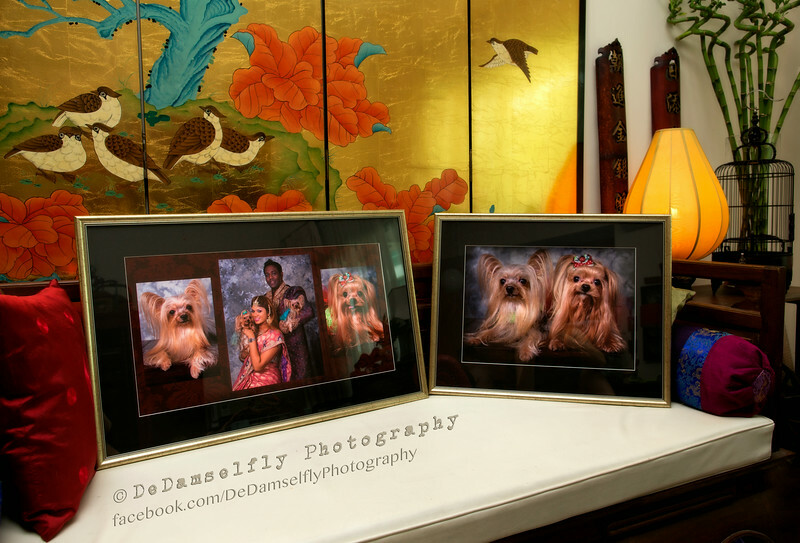 One large family montage and another of the furkids printed on Fine Art Paper, archival framing with a simple acid-free black border and classic gilt wood frame. All our fine art prints are matted ie surrounded by a border. The purpose of matting is to separate the artwork from the glass covering it. The mat allows for expansion and contraction of the paper artwork caused by changes in temperature and humidity. The mat-board used is 100% acid-free museum board. The backing behind our prints are also be acid-free archival quality museum board, never cheap plywood. The back of our framed pieces are protected and sealed using acid-free archival tape.